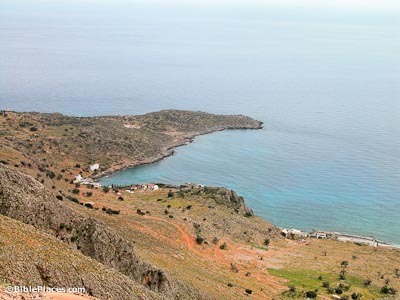 Phoenix is located on a small promontory on the south coast of Crete, west of the villages of Hora Sfakion and present-day Loutro. West of the promontory, the bay and a chapel retain the name Fineka, preserving the ancient name. 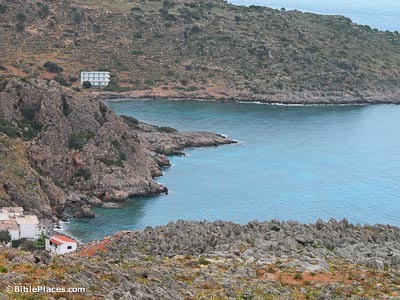 The site was attractive because it is one of the few natural harbors on Crete’s southern coast (and the only all-season one), and it has at least four sources of fresh water. When Fair Havens proved to be unsafe for wintering, the Alexandrian grain-ship Paul was on set out for Phoenix, which would have provided a safe shelter. Initially they sailed under a gentle wind from the south, but when this backed into a powerful north-east wind, the ship was blown off-course and never reached Phoenix. “Since the harbor was unsuitable to winter in, the majority decided that we should sail on, hoping to reach Phoenix and winter there. 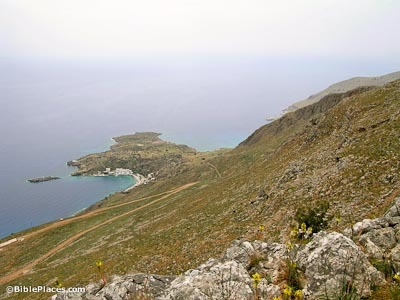 This was a harbor in Crete, facing both southwest and northwest” (Acts 27:12, NIV). Luke describes the harbor at Phoenix as “facing both southwest and northwest” (Acts 27:12), which would have protected the ship from the violent Northeaster winds. At the time of Paul the western bay of Phoenix would have been the main harbor. Ogilvie (1958) demonstrated that the water line of this harbor was 12-20 feet (3.8–6.3 m) higher in antiquity, providing sufficient water depth for mooring vessels. A now-submerged reef extends westward from the tip of the cape. This would have created a second inlet with the result that the harbor would have had an inlet facing northwest and an inlet facing southwest. The site of Phoenix has not been excavated. 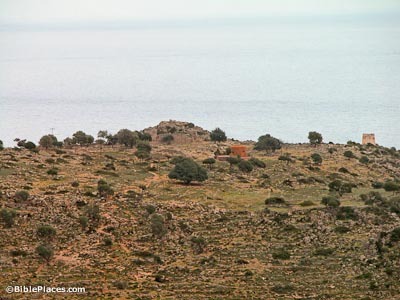 There is a Turkish fort, medieval building remains, and two chapels on the cape. It appears to have been a large site in classical times, for across the surface of the cape, remains, pottery, and several column fragments are visible. A few inscriptions have been found, including one by the owner of the Alexandrian grain-ship Isopharia, dateable to the reign of Trajan (2nd century AD). 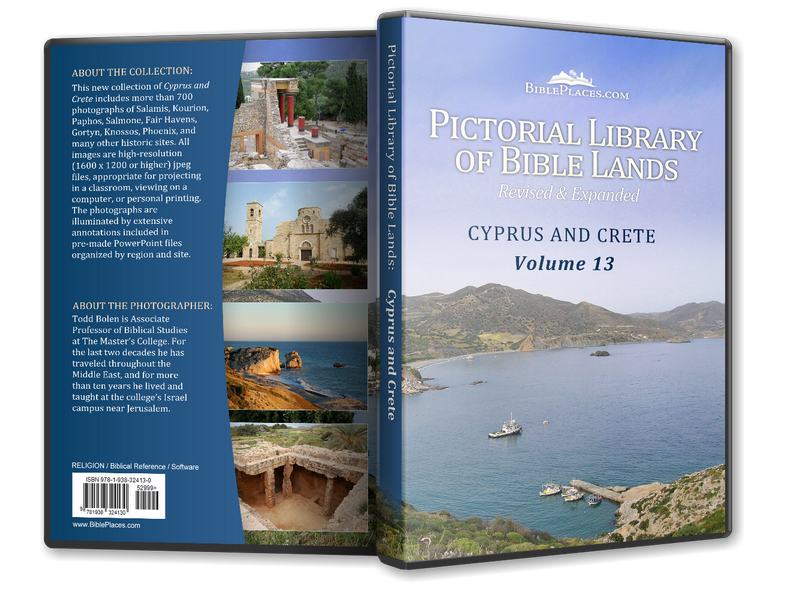 Download all of our Cyprus and Crete photos!